Leading up to the 89th Oscars, ABC is getting viewers ready for the biggest night in Hollywood by featuring a marathon of Jimmy Kimmel Live: After the Oscars and Oscar-themed episodes of new comedy Speechless, Good Morning America and The Chew. 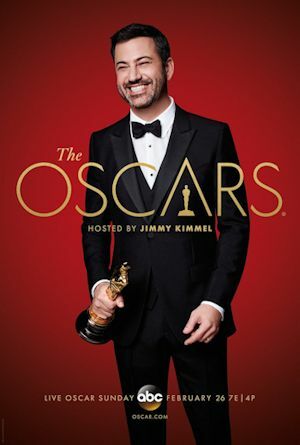 A best of marathon of Jimmy Kimmel Live: After the Oscars specials (from 2010, 2011, 2012, 2015, and 2016) will kick things off and air every weeknight at 11:35 p.m. EST, this week (February 20-24). Speechless will air an original Oscars-themed episode Wednesday, February 22, at 8:30-9:00 p.m. EST. Good Morning America will have Robin Roberts and Lara Spencer reporting live from Los Angeles and special sit-down interview with Jimmy Kimmel on Friday, Feb. 24. Finally, The Chew will get viewers ready for Oscar Sunday with a fun-filled episode featuring ideas for the perfect Oscar party and their predictions on the night's biggest winners on Friday, February 24, at 1:00 p.m. EST, 12:00 p.m. PST; check local listings. In the Speechless episode, when the Dimeos throw their annual Oscar party with other special-needs families, Maya feels threatened by new mom Becca, who seems a little too perfect. Meanwhile, Jimmy encourages the fathers at the party to let loose while Ray tries to impress a girl by pretending to be someone he is not, on Speechless. Hosted by Jimmy Kimmel, the Oscars will air live Sunday, February 26, on The ABC Television Network, at 7:00 p.m. EST/4:00 p.m. PST. You can watch the Oscars in peace now. 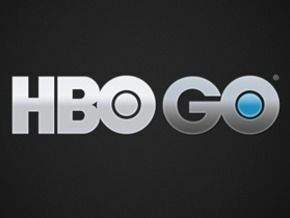 With the race for this year's Oscars(R) heating up and the year's most acclaimed movies set to go head-to-head for the industry's highest honors next weekend, HBO wants to make it easier for fans of its Sunday night lineup to choose what to watch. For viewers who can't wait until Sunday to find out what happens next on the buzzy new limited drama series Big Little Lies, or to laugh along with comedies Girls and Crashing, HBO has announced that the upcoming episodes of these series, scheduled to debut Sunday, February 26, will be available to stream early exclusively via HBO NOW and HBO GO, in addition to HBO On Demand and affiliate portals, on Friday, February 24.